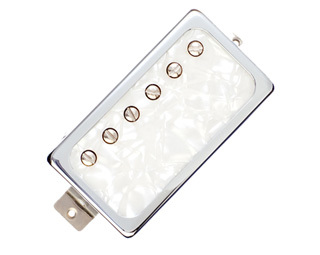 Based on lower output PAFs often found in vintage 335s, this pickup boasts a brighter overall tone compared with the standard Lollar Imperial®. This results in exceptional definition for any chord voicing and overall great presence for cutting through the mix. 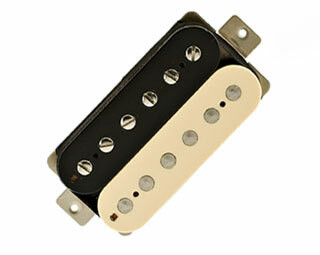 You'll also find the bottom strings hold together noticeably longer without distorting than most humbuckers. The low wind is ideal for the occasional Les Paul that sounds darker in the neck position, or for guitars with darker tones in general. This pickup is also a good match for amps that are heavy in the mid-range, or if you're seeking a clear and tight bass tone. 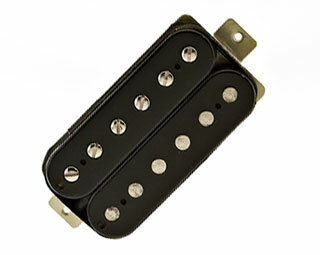 Made with Alnico 2 magnets in the neck and Alnico 5 magnets in the bridge that are degaussed to specific levels unique to the neck and bridge positions. Covers are nickel silver. Sold as singles or as sets, and comes in a wide range of cover options. Single conductor braided shield lead wire and 4 conductor lead wire is available. 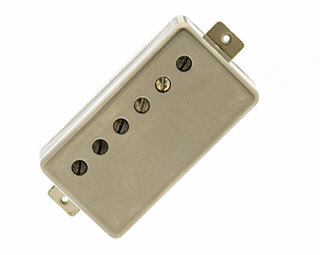 Our high wind humbucker is similar in overall tone to the standard Imperial® but with a higher output that retains much of the airiness and balanced tone of the originals. It also pushes your amp into distortion harder and faster while still keeping a smooth tone. You also get a creamy treble tone and fat bottom end with softer attack and ample sustain. 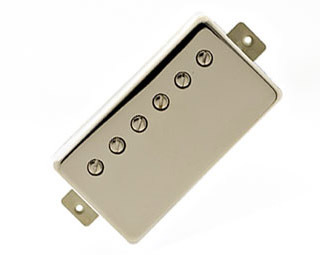 This pickup delivers the highest output we offer (while still considered "vintage output") and works particularly well for playing distorted more often than clean. It's also great for overly bright guitars lacking in fullness and sustain, or for light and thin body guitars such as an SG. Made with Alnico 2 magnets. Covers are nickel silver. Sold as singles or as sets, and comes in a wide range of cover options. Single conductor braided shield lead wire and 4 conductor lead wire is available. All Low Wind Imperial soundfiles with clean and dirty tone were played by Greg Timmons using a LP Copy and a brown Fender Vibrolux amp. Clean soundfiles played by Greg Timmons with a Fender Super Reverb and an LP copy. 1) I don't usually write reviews 2) I was already satisfied with my Les Paul tone before I swapped them out 3) I am completely blown away by these pickups! I popped a pair of Lollar Imperial Low Wind pickups in and was just floored by how much more clarity and presence these pickups had. I put them in a 2006 Les Paul Gibson Standard that previously had Burstbucker Pros in it. All I can say is that the hype is real. 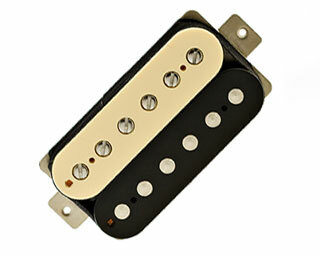 My buddy, who is a tone guru, listened to it and also agreed, these pickups just got it! I was skeptical on the low winds, vs regulars. 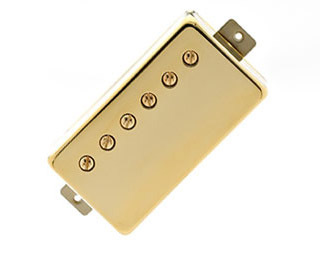 From the sound clips I felt you lose a bit of the low mids vs the regulars, but thats what the vintage Les Paul tone was all about; no hum, but voiced more like a single coil, bright and snappy. You hear more of the guitars natural tone, rather than the pick ups interpretation of it. So point blank, spend the money and get these or any Lollar pickups you may need... they are worth the investment and the difference is palpable. I lost my money and time with others pick ups.. I installed theme in my guitar and i really have no words to describe. Just, they are far from my personal imagination, they are really the best. I love these pickups! I put them in my Gibson es-335 over a year ago and I am very happy with the tone I have gotten out of them. They are bright, woody and articulate. I would recommend them to anyone with an es 335 looking for that vintage paf tone! This is my second set of imperials, the first installed in a lightweight lespaul standard, they were clearer and more dynamic than the stock pickups. I had used several high end PAF type pickups, but I found the Lollar Imperial set the most responsive and articulate to my style of playing. 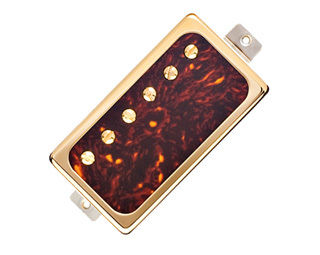 I normally prefer a single coil pickup most of the time, but these Lollar humbuckers have the brightness and touch sensitivity that I have sought to give the blues country and jazz sounds I imagine. I have never played an original PAF so besides just playing the instrument, I'm basing my impression on recordings and videos of myself playing the guitar. 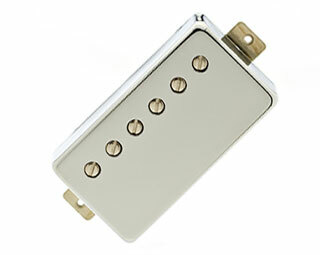 I am now ordering a low wind neck for my ES-335. For what it costs a Canadian to purchase one of these, you had better believe I'm convinced. I love my PRS S2 Semihollow Singlecut but the neck pickup wasn't cutting it. Too thin and plain sounding. I swapped it out for an Imperial Underwound pickup (4 conductor for coil splitting) and the guitar is perfect. The pickup can handle rock to jazz. It's super versatile.